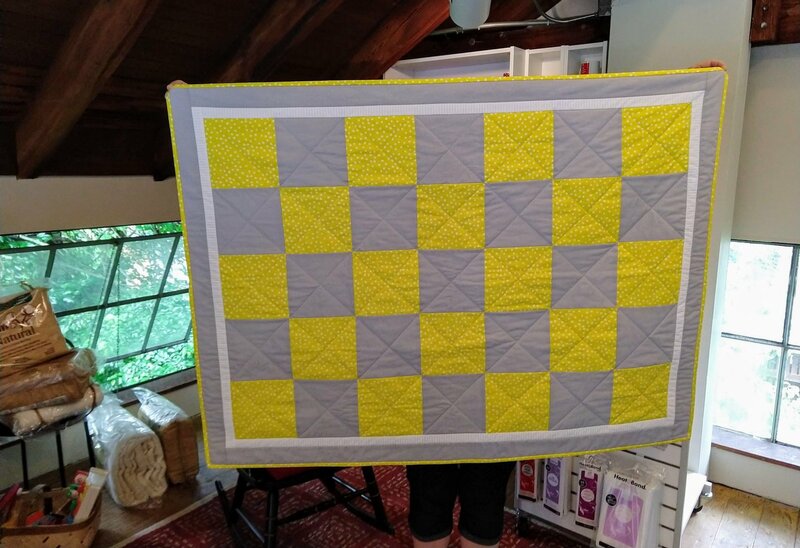 In this class, you will learn everything you need to make a simple quilt from start to finish. We will focus on: cutting accurately, seam allowance, matching seams, sewing blocks together, measuring and fitting borders, sandwiching & basting, simple quilting, and binding your quilt. By the end, you should have a completed quilt! Optional: ruler, cutting mat & rotary cutter. If you keep quilting after this class you'll want to own these, but for the first class you can use ours. Class capped at 6 participants to ensure one-on-one instructor time. 10 total hours of class time.